We created a Wheel of Fortune-style jackpot game that lived on a web application and harvested tweets with a certain hashtag as competition entries for instant giveaways. 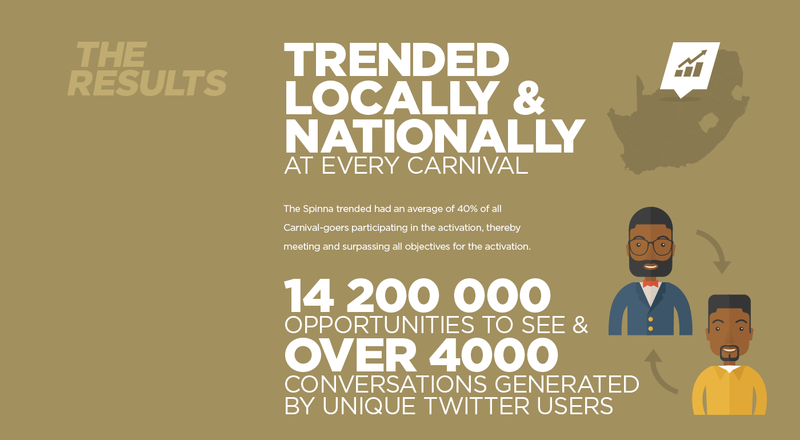 Carnival-goers were prompted to tweet our hashtag within a time limit. Their Twitter profiles were then added to a queue system on the big screen in real time and ‘spun’ like a one-armed bandit for a randomly selected winner.